The key to really getting Dramatica is to understand that it is all about the narrative relationships the theory models. Dramatica is a complex and complicated theory of narrative and it has to be: it models the way our minds solve problems. Those new to the theory often make assumptions about what Dramatica is and what it isn’t. Writers new to the theory can save themselves a world of hurt by understanding the thought process behind the development of the actual model. The Dramatica Table of Story Elements is certainly intimidating. 340 separate elements arranged in a complex grid system that bears no resemblance to the Hero’s Journey “circle” model or the Save the Cat! exclamation point model. One look and many writers scoff at the obtuse terminology. Situation? Developing a Plan? Preconditions? What do any of these have to do with storytelling? Still others writers make a different and potentially more inaccurate assessment: those terms mean what they mean. The grid system is not about those elements: it’s about their relationship between each other. That statement is Earth-shatteringly important. Trust me, it has taken me twenty years to understand this. If there is anything you can learn from us and this site it is this: Dramatica is not about the terminology, it is about the relationship between the terminology. Those elements, and the story point labels Dramatica applies to them are about the relationships within the model, not about the things themselves. A story point in Dramatica labels the Main Character's Approach as either being a Do-er or a Be-er. While Main Characters can do both, they will have a preference for either first trying to change the world around them (Do-er) or first trying to change themselves to suit the world (Be-er). 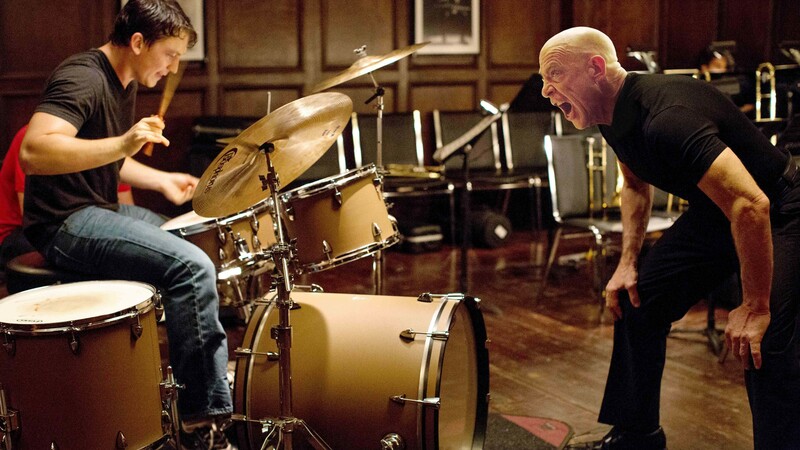 Andrew from Whiplash prefers to drum his way to success, Hamlet prefers to think himself into oblivion. One would then assume then that a Main Character is either a Do-er or a Be-er. A Do-er or a Be-er is not about a label for the Main Character, it’s about a label in its relationship to other labels. By choosing the Approach for the Main Character, you’re not making that choice in isolation: by choosing that Approach, you’re also choosing the Approach of their Influence Character in the story. Andrew naturally finds Terrence intimidating everyone around him with his obnoxious attitude; Hamlet has the ghost of his father wandering the parapets of the castle influencing others to action. If you label the Main Character a Do-er, you’re simultaneously labeling the Influence Character a Be-er. Likewise you label the MC a Be-er, the IC will be a Do-er. Now, there is some inherent nature to these elements, but knowing the inherent nature of one element does not necessarily define the inherent of what something else is unless you say they are both of a certain family. The families that elements fall into define the relationship between those elements. Do-er is an umbrella over Situation and Activity along the top level of the Table of Story Elements. Be-er is an umbrella over Fixed Attitude and Manipulation located below Situation and Activity, but along the same top level. While there may be other umbrellas currently not defined by the Dramatica theory of story, it’s important to know that every one presented has a purpose and a relationship to something else. They don’t happen in isolation as they are not single points of entry into a narrative. For instance, there is another story point Dramatica sees known as the Main Character Growth. This story point basically defines the character arc so many writers and producers are obsessed with. This story point labels the Main Character as someone who needs to grow by Stopping something or by Starting something new. Luke needs to stop whining about being stuck on a farm and Rick needs to start sticking his neck out for someone. But you see, the Main Character Growth can have the same exact relationship as Do-er or Be-er. They can be the same because if you have a Main Character who falls under Situation and an Overall Story that falls under Activity, you’re going to have a Stop story: the Main Character Growth will be the exact same thing as labeling the Main Character a Do-er. The application is presented as a bunch of switches and buttons that set the structure of a story, but really it’s all about identifying the relationships between things. There is no such thing as a Problem. No such thing as a Solution. Only the relationship between something we see as separate from ourselves and our own internal desires that we blind ourselves to. Switching back to our example above, the Main Character is of two families. She is in the Do-er family, paired with Activity. And she is a Stop character, which means she is also paired with Activity. Two labels that mean two different things that by definition, are identical because the choice is not between one inception point of narrative: it’s a choice between a vertical or a horizontal relationship. The questions Dramatica asks—is the Main Character a Do-er or a Be-er, is the Main Character Growth Stop or Start, do not presuppose knowledge of where the Main Character falls in the Table of Story Elements. A writer doesn’t have to know where the Main Character is by choosing Do-er or Be-er, he or she is simply narrowing down the options. If you choose Stop and Do-er, you still don’t who your Main Character is. If you have Start and Do-er, you still don’t know who your Main Character is. But the moment you assign the Main Character, then you know all of them. It is also helpful to know that the model is based on Dynamic Pair relationships, meaning those items diagonally across from each other carry the most significance within the model. Other umbrellas would need to honor this dynamic pair relationship. Choosing Do-er or Be-er is selecting part of a dynamic pair relationship, so that if you pick one you understand that your Influence Character will fall into the other. A writer understands both sides of the dynamic pair by defining one. Dramatica looks mechanical on the surface, it looks reductive and restricting. But I’m telling you…after twenty years of studying this theory, it is the most beautiful comprehensive understanding of narrative out there. You just have to be willing to take the time to understand how it was built, what it references, and how you can best apply that to your own work. If you’re a writer, and you write stories, and you want those stories to be good…why wouldn’t you want to know and comprehend the world’s most advanced model of narrative? Sure it’s difficult, but anything worth doing is. We only feel motivation when we sense a separateness between us and something else, when we sense a relationship. Dramatica models that relationship in a way that makes it possible for us to fully understand what motivates our characters and how to best get that across to our audience. Building a relationship with Dramatica brings us closer to oneness with our own writing.